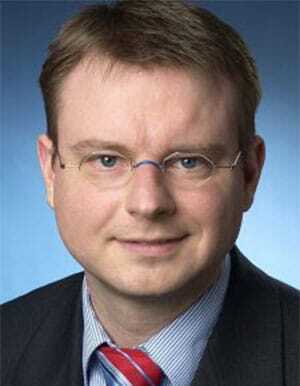 Stefan Kooths, born in 1969 in Mettmann/Western Germany, has joined the Kiel Institute for the World Economy (IfW Kiel) in 2010 as representative of the institute in Berlin and as senior economist in the Forecasting Center, IfW’s macroeconomic think tank and business cycle analysis unit. In 2014, he was appointed as head of department. His main fields of expertise comprise business cycle analysis and growth, money and banking, globalization, and constitutional economics. He is advocating a coordinationist paradigm of economics that builds on the main findings of the Austrian School. Technically, he has a focus on computational economics (simulation software, soft computing, and knowledge-based decision support systems). Stefan Kooths holds a Master of Science (1993) and a PhD (1998) in economics from the University of Muenster where he worked as research associate and assistant professor at the Institute for Industrial Economics. From 2002 to 2005 he was managing director of the Muenster Institute for Computational Economics (MICE). Before his affiliation with the Kiel Institute, he held a similar position in the Macro Analysis and Forecasting Department at the German Institute for Economic Research (DIW Berlin). Parallel to his research activities, he has a long teaching track record at various national and international universities. In 2013, he was appointed professor of economics at the private Business and Information Technology School (BiTS) in Berlin. There, he was among the initiators of a Master Program in Entrepreneurial Economics that started in 2016. Having been a scholarship holder of the German National Academic Foundation from 1988 to 1997, he is a regular member of the foundation’s selection board since 1998. In 2014, he was appointed to the board of trustees of the Berlin-based think tank PROMETHEUS. He holds memberships of the Friedrich August v. Hayek-Gesellschaft and the Mises Institute.